True Motion Dance deliver private dance classes to all ages and abilities. Classes are available for individuals or groups based on your requirements. Classes are tailored to your specific needs and interests. 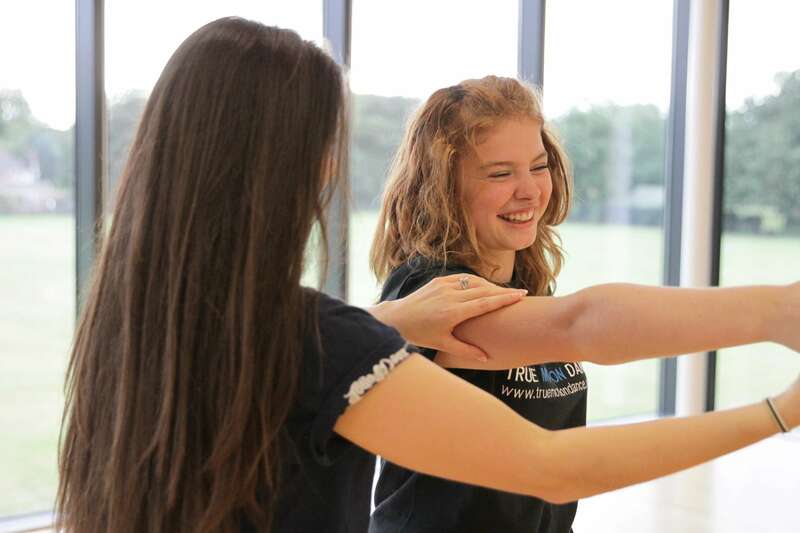 Whether you want to get fit, lose weight, boost your confidence, learn how to choreograph, improve your dance technique, work towards an audition, learn some basic steps for your wedding first dance or just have fun, True Motion Dance can create a program for you. Classes can include, but are not limited to, dance fitness, technique, street dance, contemporary, creative, physical theatre, choreography, audition and performance skills, stretch and tone, and first dance tuition. Tuition is available across North Norfolk at a time convenient to you. All classes are delivered by experienced and professionally trained dance artist, Kelly Marie Such. Kelly has full public liability insurance, a DBS, has undertaken child safeguarding and emergency first aid training and is a licensed chaperone with Norfolk County Council.